Guitar Making Tip No. 30 is about lessons learned from mistakes. When you make a mistake, the only time it’s bad is when you don’t learn from it. In every mistake is an opportunity to start again, this time with a little more experience. 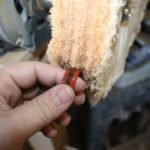 Here is how you can get the best from the moments in the shop that you are not the most proud of. Being new to anything, you can expect to make a lot of mistakes. This is completely normal, and you should not be troubled. 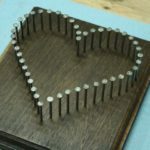 It takes time and practice to learn something new like making acoustic guitars, and you will surely encounter a little heartbreak along the way. When you make a mistake, it’s important to do a kind of autopsy on the error. You need to dig in to why it happened, what caused it, and what you should have done instead. The guitar is made in many parts, and then they are brought together. This is a good thing for making mistakes, because they are typically easy to recover from. If you make a mistake early on, it’s very easy. Later in the process though, it can be more difficult. 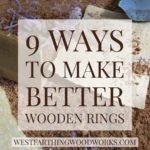 Spend time making sure that your pieces and parts are made well. 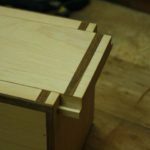 Make sure that the measurements are on, and the pieces fit. If you cut something wrong, this is the time to fix it, because it will not get better all by itself. If you can do that, the odds of your body coming out an inch too short are very low. Also, the odds that you make a neck that is fretted completely wrong is lower too. The bigger mistakes are harder to recover from, but as long as you learn, you still win. When it happens to you, it will hurt. Mistakes are not any fun, and they can really stall a project. When a mistake happens, you are really the only person that can decide how it will impact your build. 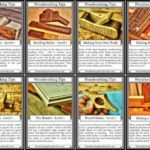 As far as slowing down the project, any time you have to build something a second time, or make a repair, it will add time. The way you speed this up is by getting over the mistake as quickly as possible. If you lament over the error for a few days, that’s just more wasted time. Give the error a little time to marinate, and then let it go. The best way to get through this process is to do a quick autopsy and gather some information. This does a number of things, but above all it gives you more confidence. The way you let go is by diving in. Dive into the error, and really understand it. The faster you can do that, the better you will be able to move forward. 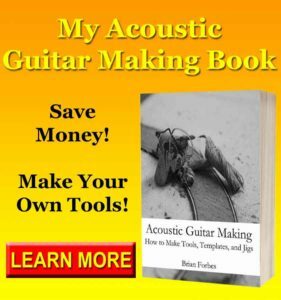 It will build confidence, and make you a better guitar maker. Sometimes, the mistake is very obvious. Other times, you will need to examine things a lot more closely. Either way, keep on looking at what you did and find where you went wrong. If you can do this quickly, you are ready for the next step. Once you know what you did, you now know one way that you can’t do it. 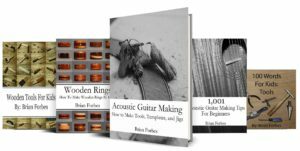 This sounds weird, but you are actually now a wiser guitar maker because you have narrowed your choices by fully understanding one of the wrong ways. Pat yourself on the back, and start making another piece without making the same mistake. The only problem in making a mistake on a guitar is letting it stop you. In the beginning, you are going to make a lot of mistakes. If you let them build up, they can stop your build and prevent you from hearing one of the best sounds in the world. That being the guitar that you made with your own two hands. Nothing Will Sound as Sweet. If you do a quick autopsy on your mistake, you can learn how to avoid it in the future. You will be more confident, and you will have more skill going into the second try. 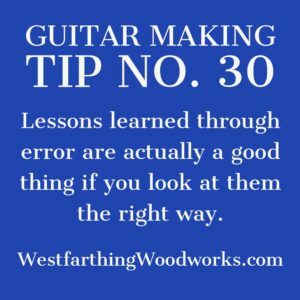 In this way, you can turn a mistake into a learning experience, and better yourself as a guitar maker. If you have any questions about Guitar Making Tip No. 30, please leave a message and I will be glad to answer them. Happy building.